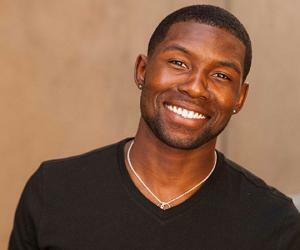 Trevante Rhodes is an American actor who appeared in the film ‘Moonlight.’ Check out this biography to know about his birthday, childhood, family life, achievements and fun facts about him. Trevante Nemour Rhodes is an American actor who rose to fame for his bold portrayal of a black gay man struggling to deal with with his identity in the Academy Award-winning film ‘Moonlight’ (2016), for which he earned multiple award nominations. He is also recognized for his performance in the TV series ‘If loving you is Wrong’ and ‘Westworld’. Born in Ponchatoula, Louisiana, and raised in north of Dallas, Texas, Rhodes is also a naturally gifted athlete who attended University of Texas on an athletic scholarship in track and field. From 2008 to 2012, he competed as a sprinter for the Texas Longhorns and also won a gold medal at the 2009 Pan American Junior Athletics Championships. Despite emerging as a star athlete, it was at UT Austin where Rhodes decided to pursue a career in acting. 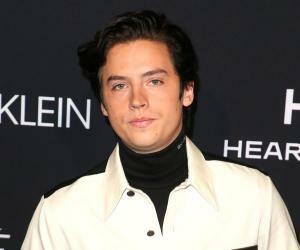 A longtime lover of movies and film stars, he has been inspired by many artistes like Leonardo DiCaprio, Denzel Washington, Jake Gyllenhaal and Robert De Niro. On a personal note, the multitalented Rhodes is a “mama’s boy” and is extremely close to his mother. 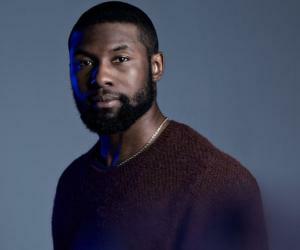 Following his graduation, Trevante Rhodes started working as an actor, initially appearing in the short film ‘I Came Back’ and the movies ‘Song to Song’ and ‘Open Windows.’ From 2015 to 2016, he played Ramsey Walters in the series ‘If Loving You Is Wrong’ and featured in one episode of ‘Westworld’. During this time, Rhodes also featured in the movies ‘The Night Is Young’ and ‘Shangri-La Suite’. The actor rose to international fame for his much praised performance in Barry Jenkins’ 2016 film ‘Moonlight.’ In this movie, he played the main role of the adult Chiron who struggles to cope with his identity and sexuality while suffering emotional and physical abuse on the way. The film, which also starred André Holland, Ashton Sanders, Janelle Monáe, Mahershala Ali and Naomie Harris, won the Academy Award for Best Picture and went on to earn over $65 million worldwide. It became the first LGBTQ film with an all-black cast. Rhodes also earned multiple award nominations for his performance. In 2017, he appeared in Jay-Z’s music video "Family Feud" and also starred in the movies ‘Burning Sands’ and ‘Smartass’. The following year, the actor co-starred in the post-apocalyptic thriller ‘Bird Box’, the science fiction film ‘The Predator,’ and the action war drama movie ‘12 Strong’. Trevante Nemour Rhodes was born on February 10, 1990 in Ponchatoula, Louisiana, to Jessi Rhodes and Demour Dangelo, an accountant. At the age of ten, he, along with his parents and brother Giovanni, moved to Texas where he attended Little Elm High School. During this time, Rhodes played running back and earned four letters in both track and field and football. As an athlete, he won a gold medal at the Pan American Junior Athletics Championships in 2009. He later earned an athletic scholarship to the University of Texas at Austin where he studied kinesiology.